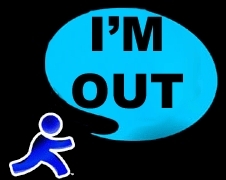 AOL is pretty much in chaos right now, amid reports of selling off MapQuest, ICQ, and the lobby furniture at 770 Broadway. Oh, and that part about laying off a third of the company. Get more details here.